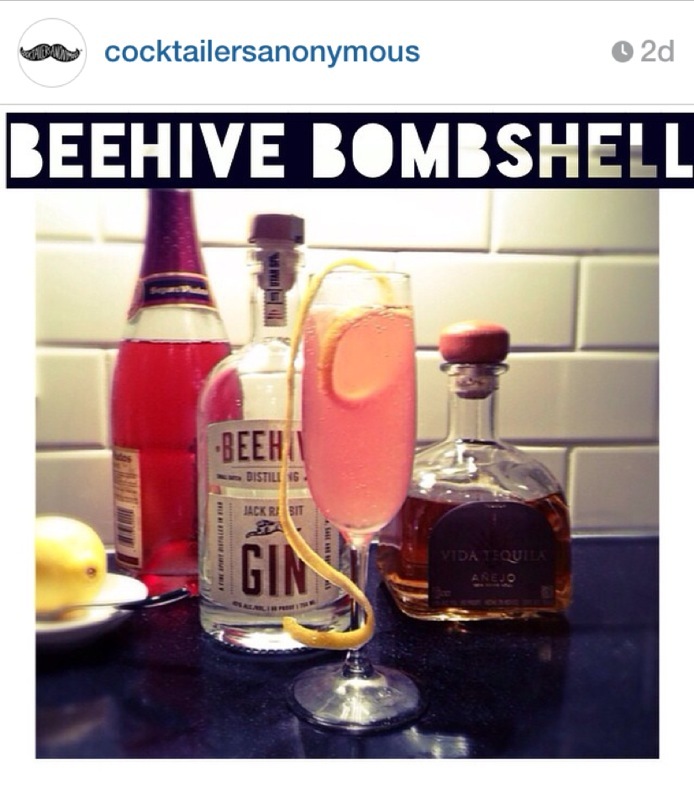 A million thanks to all y’all who took the time to vote for my cocktail the “Beehive Bombshell” over on the CocktailersAnonymous Instagram competition. Haven’t voted yet? Pretty please with cherries on top, go on over there, and pronto! Voting closes today and it’s a close one [though thanks in no small part to y’all, the Beehive Bombshell is ahead by a frog hair right now. Squeeee!]. It’s a riff on one of my favorite celebratory beverages, the festive French 75. I made this one using locally-produced Beehive Distilling Jack Rabbit Gin, and Utah-owned VIDA tequila añejo. So. Good. It’s made even prettier [and tastier IMHO] by the kickass addition of Meyer lemon juice and sparkling rosé. The Beehive Bombshell, as featured over on the Cocktailers Anonymous feed. 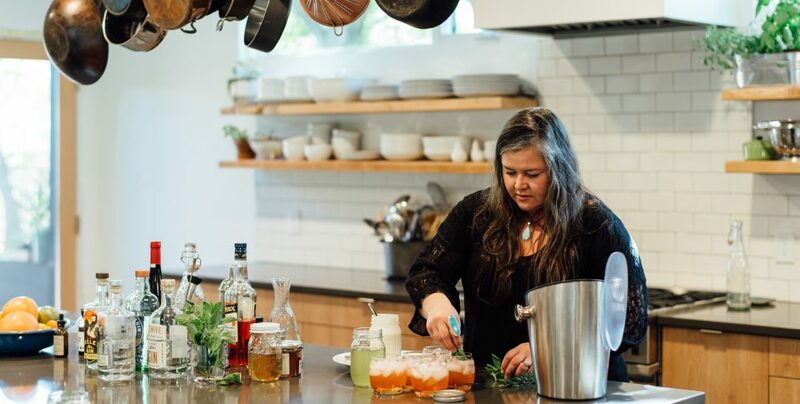 In a cocktail shaker filled halfway with ice, add all ingredients except for the wine. Shake briefly to combine, then strain into a champagne flute. Top slowly with sparkling rosé. Garnish with an extravagant lemon peel, of course! Oh la la.